adidas introduces the Supernova Sequence Boost, a stability running shoe with revolutionary Boost cushioning that delivers exceptional support and uncompromised comfort. Supernova Sequence Boost uses a full length STABLEFRAME, which guides the foot throughout the foot strike, allowing it to sit within rather than on top of the frame for support. In addition to added comfort, Boost cushioning provides a higher energy return than any other material in the running industry by using thousands of energy capsules that remain soft yet responsive, even in the most extreme weather conditions. Boost works in harmony with the adidas Torsion System, which allows the shoe to adapt to any running surface upon landing to ensure midfoot support in the plant and push-off phases. An engineered mesh upper delivers additional support on both lateral and medial sides. A full heel-to-toe Continental rubber outsole with a strategically flattened surface distributes the load of impact over a larger area, further contributing to its superior stability. 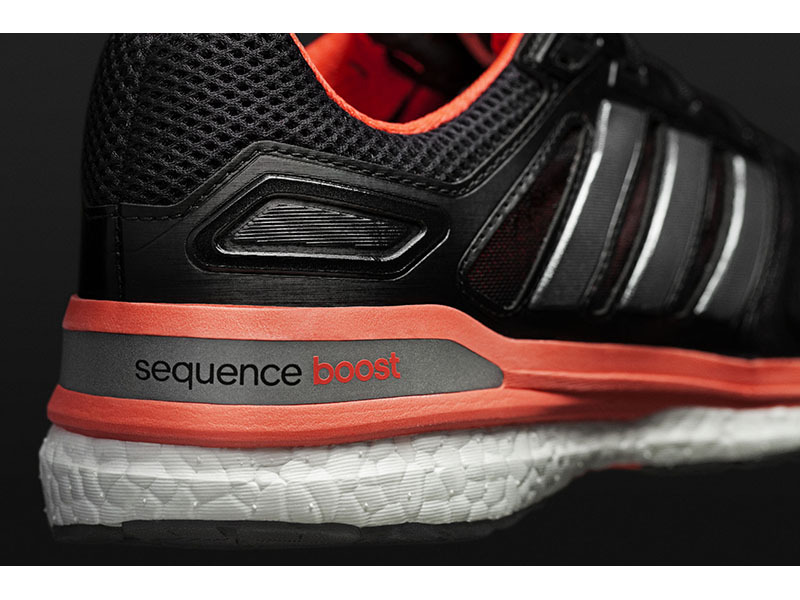 Supernova Sequence Boost is available now for $130 at adidas.com, adidas Sport Performance stores and select retailers nationwide.